Fusion Healthy Living Centre opened its doors in September 2001, building on the work of health visitors from the former Mid-Kent Healthcare Trust to improve the health and wellbeing of local people in Park Wood. Following a period of Lottery Funding, the HLC became a registered charity in 2006. The name later changed to “Fusion Maidstone” and moved to its current premises in 2016. Fusion’s remit also changed to cover the wider the Maidstone area, where appropriate, as well as dovetailing into the regeneration of the Park Wood area. The HLC was one of a set of similar organisations across Mid Kent, Medway and North Kent, each offering a bespoke and localised approach to local health and welfare issues. HLCs subscribe strongly to the prevention agenda to improve and maintain health and wellbeing /avoid ill health especially in an ageing and growing population, and in the context of ever-stretched budgets. Fusion constantly reviews and adapts to the needs of the local population as it changes, for example new homeowners and tenants moving into the area as a result of extensive housing development. 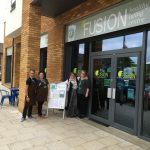 Fusion is funded by a range of sources, including an annually re-negotiated contract with KCC/Public Health, some short-term grants/ contracts with other organisations, as well as income from goods and services provided in the centre, eg. letting out rooms, community cafe. Seeking out sustainable funding is a key priority for the organisation, building on the partnerships already established, which are so beneficial to the local community. Our mission is to promote the health; education; recreational opportunity; self-improvement and the community support capacity of residents in Park Wood and of Maidstone in general. 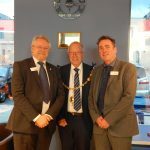 We develop projects; initiatives; activities and opportunities for the promotion of health; education; social improvement and general improvement in the standard of life for those living in Maidstone involving local people in the operation of the charity and its response to local needs.